When the early members of the Minnesota Grape Growers Association (MGGA) first experimented with wine grapes in the early 1970’s, all the vines were cold tender or marginal at best. Foch stood out as the hardiest of the French Hybrids, but we soon learned that it was devastated at —25 F. The other available hybrids were also clearly cold tender and burying vines in winter was virtually universal among early growers. Burying vines is a laborious procedure wherein the vines must be rough pruned to reduce the bulk of vine to be covered, cut down from the trellis and covered with dirt to ensure winter survival. All this must be accomplished after the completion on an exhausting harvest and before the soil freezes which makes covering with dirt impossible. While winter protection of vines has been successfully practiced in Russia, Northern China, the northern Japanese Island of Hokkaido and the U.S., it’s time, labor and expense restricts grape growing. To develop cold hardy hybrids and encourage the wine industry in Minnesota, the MGGA lobbied the state legislature to hire a grape breeder to follow the lead of famed breeder Elmer Swenson. Given the widespread skepticism about developing a wine industry in Minnesota, it is amazing that the program was funded. 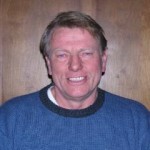 Never the less, in the early 1980s, the University of Minnesota (U of M) hired Peter Hemstad and a hybridization program began. The U of M program has been enormously successful. With the release of the University’s Frontenac Grape in 1995, the cold climate grape scene changed overnight. Suddenly, we had a vine that was notably hardier than Foch and quickly found its place in the wine growing world. Other U of M cold climate grapes soon followed: La Crescent, Frontenac Gris (a color mutation of Frontenac), Marquette and lately Frontenac Blanc, a fully white mutation of Frontenac, have all added fuel to the fires of northern planting. These developments, together with Elmer Swenson’s ground breaking work, have created a solid foundation for the northern grape and wine industry which appears ready to expand in the years ahead. To me, it is fascinating that growers in North Dakota complain that some viticultural authorities claim that North Dakota is beyond the northern limit of viticulture. I tell growers there, ‘That is what they used to say about Minnesota. If you keep doing what you’re doing-growing grapes and selling wine-the doubters will shut up about North Dakota as well.” With the opening of Tobacco Creek Winery in Manitoba, perhaps I am going to have to get field glasses. It appears possible that viticulture is moving further north than I anticipated. This changed my thinking about the potential of northern hybrids. Here at Great River Vineyard, we are always looking northward, seeking varieties with greater hardiness and earlier ripening, hoping to make areas further north suitable for reliable viticulture. In fact, these northern hybrids are bringing viticulture to cold and barren landscapes never before blessed by the grape. However, they also may well have much value in southerly areas where growers struggle to find grapes that will be reliable year in and year out. Northern Iowa, for example, has not enjoyed its share of winery openings among the 76 wineries now operating within the state. This seems odd since directly north of Iowa, and much farther north in some cases, at least 39 wineries and more than 1200 acres of grapes now grow in Minnesota. Viticulturally, Northern Iowans can grow grapes as well as any region in the Midwest. But they seem to lag, probably because many of their southerly Iowa neighbors grow grapes that are marginal in extreme northern Iowa and they are slow to look northward for a solution. Northern Illinois is also viticulturally distinct from Southern Illinois. Many of the vines popular in the south are extremely unreliable in the northern part of Illinois. Southern Wisconsin, Northern Ohio, Indiana, much of New York State and parts of New England are all attempting to develop local viticulture by bringing in varieties that are often barely able to endure the cold. As a result some of these areas regard their local grape and wine industries as uncertain. If we look into many of these challenging areas, instead of looking toward hardier vines to support their wine industries, they are often experimenting with and planting pure Vitis Vinifera varieties instead. Some Midwestern wine regions are apparently attempting to grow by ‘improving” the flavor profile of their wine. In these areas, planting vines that produce wines with a given flavor profile often receives more attention than the practicality of the chosen varietal. I would submit that if a wine industry is based on grape varieties that are marginal in hardiness, the industry will remain marginal as well, regardless of the perceived elevation in ‘quality” or the ‘improved” flavor profiles that may be developed. Surely, full cold hardiness is absolutely essential to a successful grape and wine industry in any locality. Fortunately, there are extremely cold hardy varieties like Frontenac, King of the North, Prairie Star, Frontenac Gris, Sabrevois, Marquette and La Crescent that produce wines that have proven to be enormously popular with the public. Even many vines that we Minnesotans may regard as marginal like Edelweiss, St. Pepin, St. Croix, La Crosse and others would be fully adaptable to regions where southern varieties are unreliable. Nebraska liquor stores report that Edelweiss, for example, has actually become the #1 selling white wine in Nebraska and is close to that ranking in Iowa. Fully as important, these grapes would be entirely reliable in areas where growers now hover around their weather stations in winter, stressing over the possibility of bud damage during cold episodes. In truth, it appears that there is a viticultural ‘gap” in the mid-section of our great country. Well to the south, there are numerous viticultural areas where many extremely cold tender varieties are grown without hardiness problems. But as these varieties are tested further and further north, they become genuinely marginal. To the north are large areas where vines were never grown because of extreme cold. However, the new Northern Hybrids have made grape culture quite satisfactory in these new regions and it remains to be seen how far north viticulture will travel. In these “in-between” areas, growers seem to be trying to get along on varieties that have proven successful further south but are proving to be notably unreliable for them. Growers, winery owners, winemakers, academic authorities and others should consider that the new Northern Hybrids possess the critical elements needed fill in this ‘gap. ” The potential for this new class of cold hardy hybrids, these Northern Hybrids, may be as great filling in this gap in areas further south as they might be in moving viticulture further north. To Further echo Johns point, many varieties that are grown at to marginal of a climate will fail to ripen and produce poor wines of that profile. I can get Merlot to survive at my site, but it will never fully ripen to the point that I could make good wine from it. St Croix on the other hand, ripens well and gives its best fruit profiles to the wines we make. Also, people love the idea that wines are made from local fruit. People want to try wines that represent your area and climate. We tell people we are 100% locally grown and customers want to support us because of it. It would be nice to have mentioned the variety Petite Pearl, which, eventually, may well supplant Marquette owing to its later bud break in the spring, adaptability to a wider range of northern climates, and better wine quality. Funny you should bring up Petite Pearl. We have a full Midwest Wine Press article on this exciting new varietal in production currently. kilograms every day, it equals that you take in 1000 to 1250 kcal.